Construction is now underway on a 40,000-square-foot shell building in the New London Business and Technology Center park in Forest. It should be completed by the end of the year so a company can purchase it, finish the building and move in. The Bedford County Office of Economic Development wants to make it easy for potential businesses to expand or relocate to the 500-acre development that’s owned by the Economic Development Authority. Construction crews also cleared and graded several lots for sale—those lots range in size from 4 to 20+ acres. The New London Business and Technology Center park sits on 28 acres with a circular drive and is already home to several businesses, as well as Liberty University’s Center for Engineering Research & Education facility. The park lies within a state-authorized Technology Zone, meaning that manufacturing and professional services businesses that locate on one of the county lots may be eligible for certain unique incentives such as reduction in certain taxes and other items. The county also added seven miles of walking/biking trails that businesses and the public have access to for biking, walking and running. If you are interested in learning more about the park, call the Office of Economic Development at (540) 587-5670. 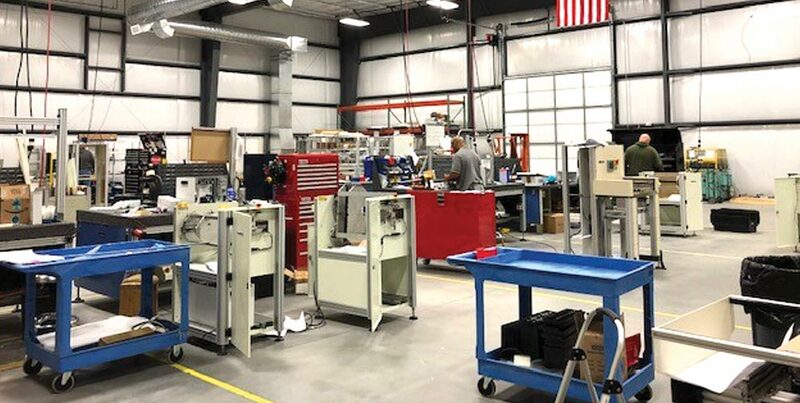 The Forest-based Simplimatic Automation has expanded its electronics business line, Cimtrak®, to a new facility not far from home. The new building is located in Rustburg, about 15 miles away from the company’s headquarters in the New London Business and Technology Center park. The Rustburg facility is 10,000 square feet, offering plenty of space for expansion and room for growth. 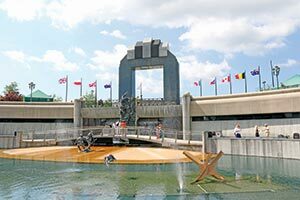 The Virginia Tourism Corporation Marketing Leverage Program has awarded a grant totaling $8,627.50 to the National D-Day Memorial in Bedford. The Memorial received the grant for its D-Day 75th Anniversary Commemoration this year. The anniversary includes six days of events and an aerial tribute featuring WWII aircraft. It’s expected to be the last large gathering of D-Day and WWII veterans. VTC awarded more than $625,000 for 33 tourism marketing projects across the state. The local organizations match the state grant funds by a minimum 2:1 ratio. The Memorial partnered with the Bedford Area Welcome Center and Department of Tourism and the Lynchburg Office of Economic Development & Tourism to supply $17,255 in matching funds for the project. The Memorial has also released a new, free app to correspond with its 75th Anniversary Commemoration. It includes information about the events in June, a memorial wall name finder and much more. 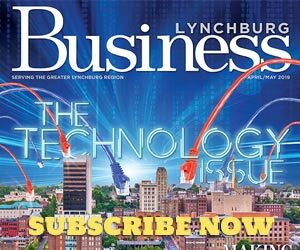 The Lynchburg Regional Alliance is looking ahead to 2019 with a renewed vision following its 2019 Annual Meeting. At the event February 27, more than 340 members came out to the Alliance headquarters to hear about last year’s achievements and this year’s goals. Highlights from 2018 included: lobbying for the Central VA Training Center (CVTC), conducting 171 site selector marketing events, hiring a Director of Government Relations, launching the regional Business Hall of Fame and much more. In the fall of 2018, the Alliance board began creating a three-year plan for the organization. They identified five goals that will be aggressively pursued: 1) Create redevelopment plan and strategy for reuse of CVTC, 2) Launch the regional Empowering People Innovation Commerce (EPIC) Center, 3) Increase retention of local college graduates, 4) Secure additional commercial air service, 5) Secure company or major expansion in the region leading to increased jobs and capital investment. RTDs are the first high-fidelity flight simulation devices to incorporate Garmin G1000 software without requiring expensive aircraft hardware. Not only are RTDs smaller, but they also come with a lower cost and are reconfigurable for multiple types of aircraft. Liberty is one of only a handful of institutions nationwide to have Federal Aviation Administration National Simulator Program certification. Randolph College will be able to expand its Community Fellows program thanks to a $1.25 million grant. The funding is the result of gifts from the Jolley Foundation, Jolley Bruce Christman ’69, and her brother, James McDuffie “Duff” Bruce, III. The grant will establish the Mamie Jolley Bruce ’44 Community Fellows Scholarship Program, which will provide scholarships for students with financial need as well as funding for various aspects of the program. The expansion of the program would include scholarships for eight students (two per academic year) as well as a one-time summer internship stipend for each student to pursue an interest in community service and social justice. As the Region 2000 Local Government Council celebrates its 50th anniversary, leaders decided to return to their roots and rebrand as the Central Virginia Planning District Commission (CVPDC). Chartered by the General Assembly of Virginia under the Regional Cooperation Act, the CVPDC was originally formed in 1969 to encourage and assist local elected and appointed officials in addressing issues that extend beyond their individual localities while working to strengthen collaboration and effective communication among their neighboring jurisdictions. The new name more clearly communicates the organization’s focus on planning, community development and services. The change went into effect in March and includes a new website, cvpdc.org. PreviousAre Employers Liable for Employees’ Distracted Driving ?